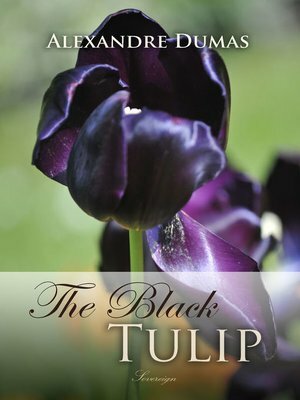 The city of Haarlem, Netherlands, has set a huge prize to the person who can grow a black tulip, sparking competition between the country's best gardeners to win the money, honour and fame. Only the city's oldest citizens remember the Tulip Mania thirty years prior, and the citizens throw themselves into the competition. The young and bourgeois Cornelius van Baerle has almost succeeded but is suddenly thrown into the Loevestein prison. There he meets the prison guard's beautiful daughter Rosa, who will be his comfort and help, and eventually become his rescuer.